Wow, it's been busy here. Last week was the charity cupcake bake and my son & I were in the local paper!! You can read the article here. 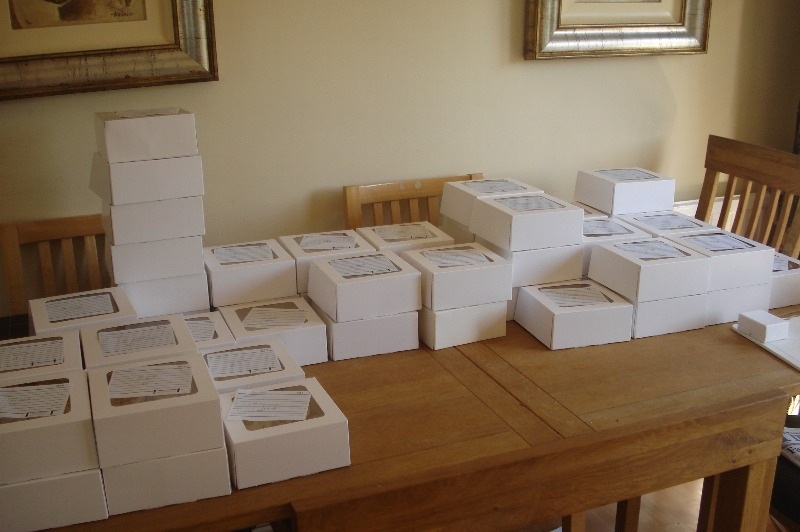 Friday was the day and I had orders for 59 boxes of cupcakes! This is what that look like.. I had people coming and going all day, it was lovely and I've had wonderful feedback. It was lovely to know people all around Nailsea and surrounds were enjoying cake! Best of all, I raised £185 for CLIC, which is just amazing. Better still, my friend Jo is taking advatage of her empoyer's charity scheme, so Lloyds will double it - £370 in total! Thank you so much everyone, it means such a lot to me. As well as baking all those scrummy cakes, I had 2 other big cake orders over the weekend. A Peppa Pig cake which was great fun to make. I airbrushed the cake board which really made it stand out. I decided I needed to get some edible glitter on there somewhere, so a butterfly was in order! The full cake can be seen in the childrens cake gallery. The other cake was a little more grown up. Another shoe cake, this time a 'Vicky' shoe in honour of the birthday girl. The box is a 10" x 6" chocolate cake and everything is edible. 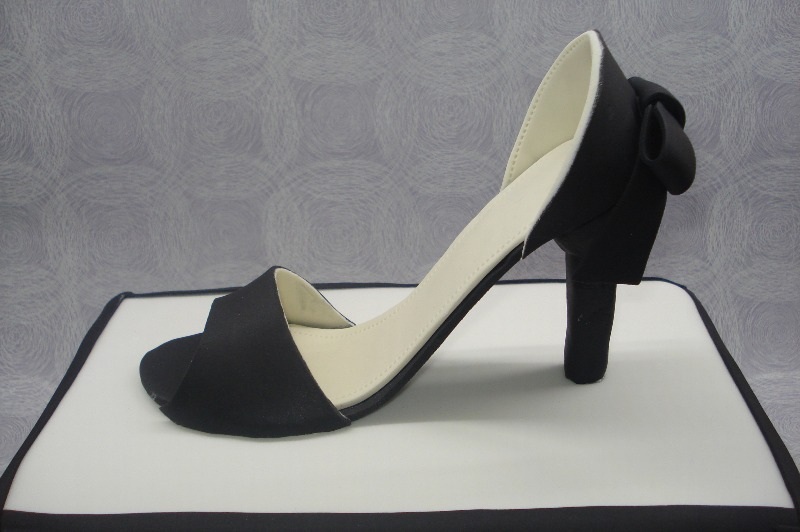 The shoe is handcut and made from sugarpaste. 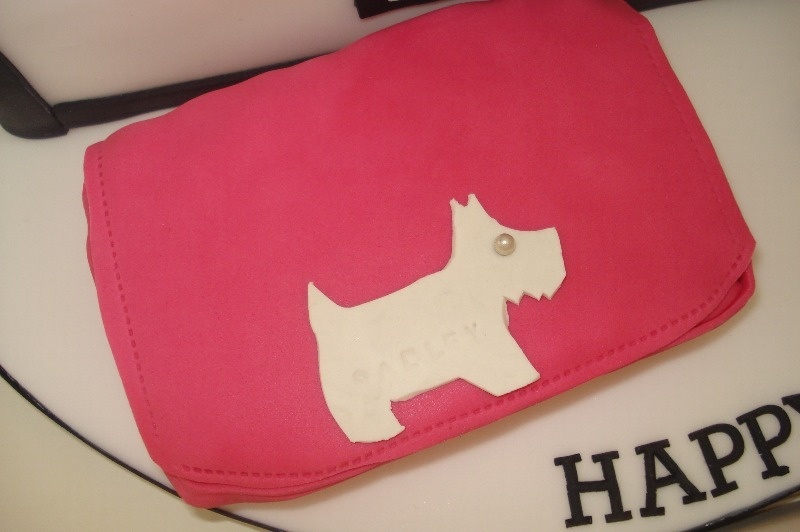 The Radley purse is made from rice krispie treats, this is a mixture of rice kripies, butter and marshmallows. You can buy them, but I make my own. I try and make all aspects of a cake edible, so for a model this size, RKT are a far better alternative than a huge lump of fondant that would go straight in the bin. Radley dog is all handcut. The full cake can be seen in the Bespoke cake gallery.